The creation of a class on Turnitin is the first step. New classes should be created each semester for new modules. A class is equal to course & the instructor should expire it each one at the end of semester. Click the "+ Add Class" button on the instructor homepage. Choose "Standard Class" from the class type, If you are going to be the only instructor responsible for this class without any TAs or co-instrctors. Enter the name for the class (the name of the module). 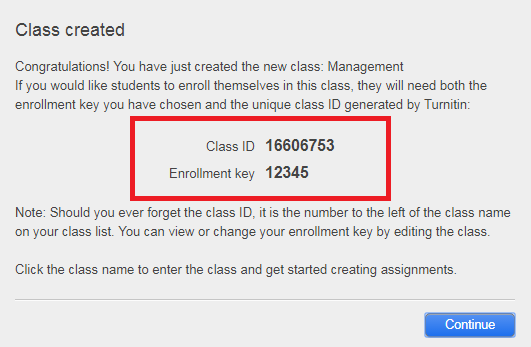 Enter the class enrollment Key (an easy password). Select the end date for the class (it should be the end date of the semester. )once the end date has passed, the class will be expired & not accessible for submissions. 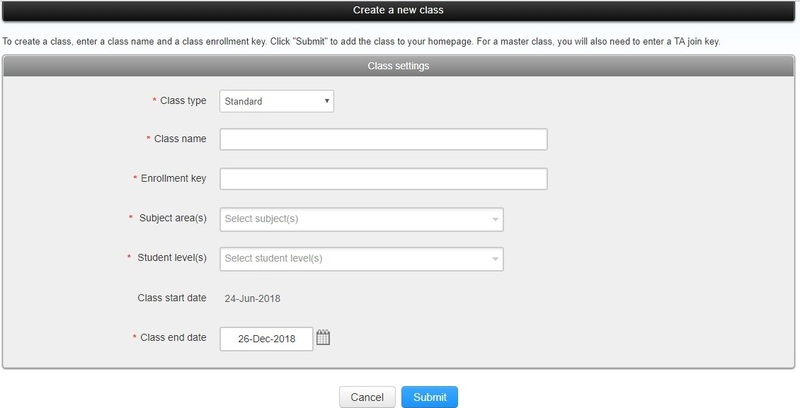 Click "submit" to add the class. 8.Class information will be displayed in a pop-up window containing the ID and enrollment Key for confirmation (should be sent to students by BUE mail or on the e-learning). Move to the next page to create your assignment.